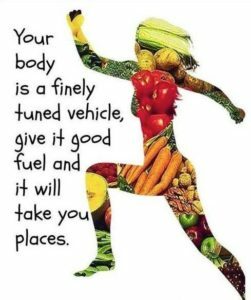 It is simply eating nutrient dense foods that best serve your body. Nutrition is a major contributor to our health. When you eat good food, your body functions more efficiently. Most people are so accustomed to eating foods not designed for human consumption, and they don’t even realize how sick they are making themselves until a bigger problem presents itself. It’s really not our fault. We are inundated all day, every day, with information on what’s “healthy” and what’s not. The marketing industry makes billions of dollars on advertising food & products that are extremely toxic to our body. It is so difficult to decided what is true, and which foods are best for us. At Inspired By Life, we understand how hard eating healthy appears to be. Inspired By Life aims to help you heal your body with food. Especially for those who suffer from Chronic Pain, they are so many foods that you eat daily, and don’t realize that it is a major contributor of inflammation, and therefore increases pain. On the flip side, there are easy simple foods that you can incorporate into your meals, that not only taste great, but will drastically reduce your pain.